Digital transformation is underway. If you don’t believe it, read this week’s Wall Street Journal recap of a panel on how VCs are viewing this era compared to that of the Industrial Age. You can also look no further than the earnings reports released this week by the big-three public cloud providers, who all saw spikes. Lastly, listen to Pandora’s head of network operations and engineering talk about how the music-streaming company is getting better network performance for better customer experience. Cloud Produces Sunny Earnings at Amazon, Microsoft, Google (The New York Times) The big three public cloud providers came out on top in Q1. Amazon reported that most of its overall profits during the quarter came from AWS. Microsoft Azure grew by 93 percent from the previous-year’s quarter. Google doesn’t break down Alphabet’s numbers, but the company was up 49 percent from the same quarter last year. Pandora Turns Up Volume on User Experience with Network Traffic Intelligence (Video) It’s not surprising that music-streaming Pandora has built out a significant network infrastructure to connect a global community of musicians and listeners. However, without sufficient depth and breadth of visibility and insight, they couldn’t achieve the best possible network performance, cost-efficiency, and protection. 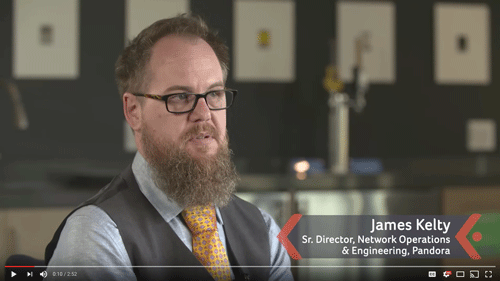 Watch how they’ve added network visibility in this video. Transatlantic link typo by Sweden’s Telia broke Cloudflare in the US (The Register) Typos can break the internet. For proof, on Tuesday, Cloudflare reported a slowdown in its network traffic due to human error. A typo in one of its transatlantic internet backbone links caused the issue. [DDoS a top security and business issue, study shows](http://www.computerweekly.com/news/450418006/DDoS-a-top-security-and-business-issue-study-shows?utmmedium=EM&asrc=EMEDA76487742&utmcampaign=20170502_DDoS a top security and business issue, study shows&utm_source=EDA) (ComputerWeekly) A new study from Neustar found that security and business leaders want DNS at the core of information security strategies. That’s in part due to the rise of DDoS attacks.